I find being open about my bipolar spectrum disorder to be very helpful. For many with a mental illness, it feels appropriate to maintain privacy. This decision is your own, and it is made for the sake of comfort and safety. In this piece, I will present some of the responses I have received, the most dramatic of which I will tell first. I was in an Uber on my way to therapy. The driver and I quickly grew friendly. In the course of about 20 minutes, we had spoken about how she wanted to buy her college son a car, her primary job as the office manager of a dental practice, her hobby of window tinting, the fact that I had recently given up a portion of Kosher dietary practice, and the coincidence that I had visited a state park in Costa Ricaーthe country in which she had grown up. The conversation then swung to how she keeps herself quite busy and appreciates life so very much. Immediately, my mind went to the fact that my mental illness has led me to more thoroughly appreciate the richness of human experience, knowing how it can feel for emotion and interpersonal relations to be distorted. It was at this point that I decidedーbeing extremely openーto mention my mental health situation. I was truly shocked at what happened next. She extended her hand from the front seat to the back and told me that she has bipolar, too! We then shared in a few minutes of learning, of the way in which she discovered her condition and the way she had come to cope with it. We even took a selfie before I left the car. Although this is clearly not a common occurrence, what is important to recognize is the extent to which mental illness is prevalent. Although some responses have been less productive than others, the vast majority of times I have been met with sympathyーsometimes even with empathy. I have had folks tell me that they seek therapy, too, that their brother has bipolar, that their parents both have dealt with depression. 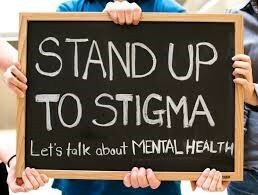 Mental illness is a shared experience, if not with the person with whom you are speaking, very possibly with a friend or family member of that person.